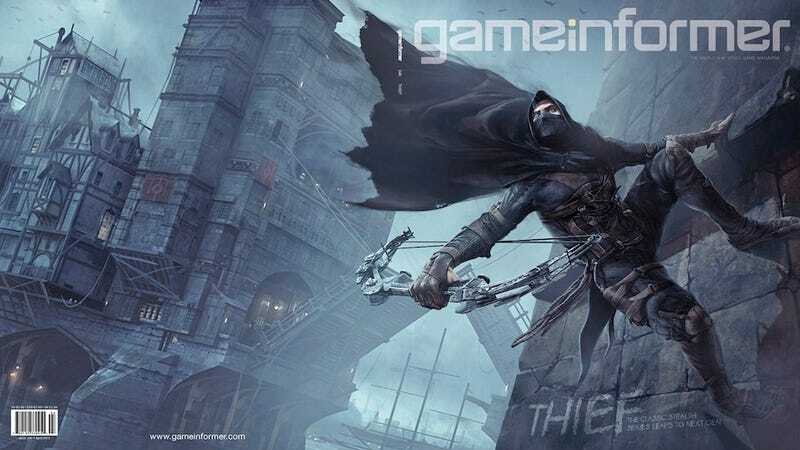 UPDATE: Game Informer's next cover is Thief, a reboot for the series by Eidos Montreal that will be out next year for PC, PS4, and whatever the next Xbox is called. The game is no longer called Thief 4. The April issue of Game Informer has more details on the new stealth game, which looks a whole lot like Dishonored. Not that that's a bad thing. Here's a brand new look at Thief 4, thanks to leaked screenshots obtained by a user named Gamesmaniac on the European social network VK.com. Head over there for all the shots. According to a Google translation of the Russian site gamemag.ru, Thief 4 is being prepared for next-gen consoles, and it will lose the 4. Just Thief now. This lines up with hints and teases we've heard about the Game Informer cover reveal today, which is planned for 12pm Eastern. Game Informer has promised that they'll be revealing a next-gen title, and in response to rumors yesterday that the cover will be Thief 4, GI editor Andy McNamara said that the cover doesn't have a 4 on it. Maybe it's just Thief now?